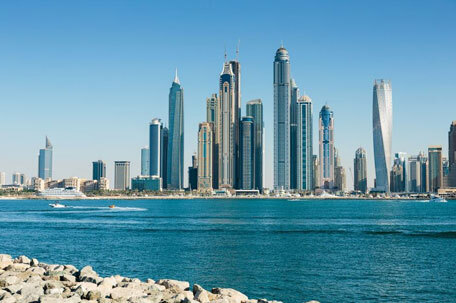 UAE residents can save at least 33 per cent of their salary on rent by living in Northern Emirates, according to a report by Dubizzle, a classified website. “With the highest price for a one-bedroom apartment rental in Ajman priced at an average of Dh39,000 per annum (pa) and Dh41,000 pa in Sharjah, these prices are non-existent in Dubai and are a significantly lighter blow to the wallet at 33 per cent cheaper than a one-bedroom apartment in International City, Dubai, and 200 per cent cheaper than in prime districts such as Downtown Dubai,” said Ann Boothello, Senior Property Marketing Manager, Dubizzle. In Sharjah, rental prices for one-bedroom apartments declined by 3.95 per cent in the first quarter 2016 compared to the same period last year. Lease rates in Al Qasba fell from Dh46,000 pa to Dh40,000 pa, while Al Nahda dipped from Dh40,000 pa to Dh38,000 pa.
Ajman rentals declined by 1.85 per cent despite Al Nakhil area rising by 10 per cent and three per cent for one-bedroom and two-bedroom apartments, respectively. Rents in Al Hamriya area also rose by 8 per cent for one-bedroom units and a whopping 21 per cent for two-bedroom apartments. Although rental prices increased by 10 per cent in Al Nakhil, the area is still more of an economical option than others with one-bedroom units priced at Dh33,000 pa, the report said. “Although our data showed a significant decline in prices in certain districts in Sharjah, and Ajman, the overall decline is mild as these Northern Emirates still remain a viable option for UAE property seekers and offer more economical options for those UAE residents on smaller income brackets,” said Boothello. In February 2016, Asteco, a property consultancy, said new supply of housing units in Sharjah coupled with a lower inflow of residents from Dubai will put downward rental pressure on lower quality apartment towers. “Rental demand is expected to be stagnant in Sharjah as a reduction in prices in neighbouring Dubai will lead to a lower than usual inflow of new residents, which may be worsened by reduced government spending and potential job cuts,” it said in its fourth quarter report, as it expected over 1,000 units to be added to the market.